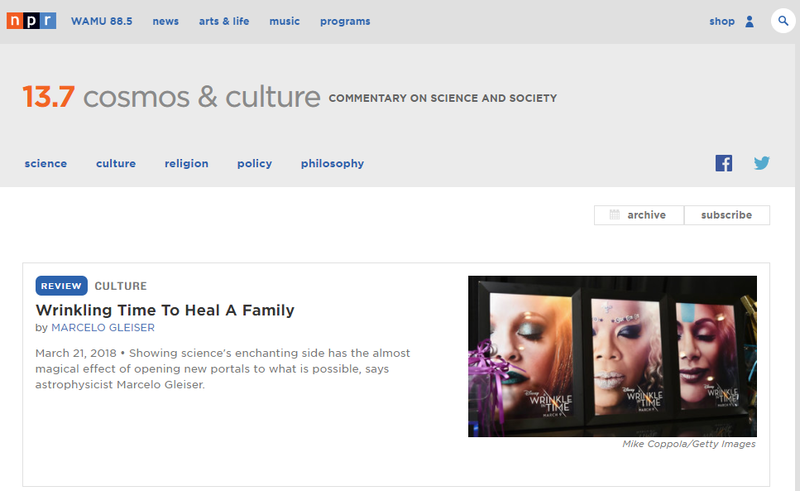 Shifting Opinions: NPR Ends Science Commentary Blog : NPR Public Editor As NPR ends one opinion blog, the international blog is picking up more op-ed content. Sara Kehaulani Goo, an NPR managing editor, announced the news internally on Thursday. She told me the driving force behind the decision was not the content — "I thought the content was good," she said, citing the unique perspectives offered — but NPR resources. The newsroom, she said, "is under tremendous pressure to produce a lot, on many, many platforms," and has been assessing its priorities and how to achieve them with limited resources. She said that imperative means NPR also needs to decide: "What can we stop doing?" The blog's posts often attracted an audience, Goo said. But the blog wasn't tied in closely with the newsroom's editorial strategy. The scientists wrote about their own interests within their areas of expertise, but their posts were not coordinated with the NPR Science Desk, which is also stretched and didn't have the staffing to manage it. In the future, the experts may contribute occasional freelance pieces, working through the Science Desk and other editorial teams. Even as the newsroom is taking away some opinion content, it is adding it elsewhere, however, most notably via the International Desk. In recent weeks, that desk has posted online op-eds from a British-Somali freelance journalist who shared his thoughts about how President Trump's reported comments on African nations would push them closer to China; from experts who argued Trump needs to appoint a senior envoy to represent him in talks with North Korea; and from Robert Baer, a former CIA case officer who once supervised Gina Haspel, Trump's nominee to run the agency. He argued in favor of her qualifications. Paul Pillar, another former CIA employee, shared his insights on what she might bring to the job. Goo and others I talked to made an interesting counterargument. She pointed out that the NPR newsmagazines regularly interview newsmakers with strong opinions, in addition to the newsroom's reported pieces from NPR correspondents. Many of those interviews come about because the newsmaker has published an opinion piece elsewhere. Why not have them talk about opinion pieces that were first published by NPR? That's what has been happening in recent weeks. Ismail Einashe, the author of the op-ed on Africa, was a guest on Here & Now. One of the co-authors of the North Korea op-ed, Joel Wit, was subsequently a guest on Morning Edition. In an NPR newsmagazine interview, the guests are questioned and even challenged on their views, unlike in an op-ed. But William Dobson, NPR's international editor, said the online op-ed contributors go through the same editing process that NPR reporters do, getting queried to make sure their facts are accurate. Dobson said his team wants "to have a diversity of views and we want to bring an informed perspective. We want to hear from people who are informed, smart and have a unique vantage on the issues of the day." Key to the strategy, he said, is making sure the pieces are clearly labeled. NPR last summer changed the way it labels opinion content online, making it much clearer. I have some lingering concerns about the opinion pieces. For one, I'd prefer to see them grouped in one place — say, an opinion blog just as 13.7 was — rather than dropped in individually in the feed of reported stories. Grouping is how newspapers handle their opinion content. And the "Opinion" labels don't carry over to social media headlines, which is of concern in an era when many only read headlines in their Facebook and Twitter feeds. I'm also curious to see how the audience responds.